CODA Audio launched its new U Series Subwoofers at ProLight + Sound 2018.
International loudspeaker manufacturer CODA Audio is delighted to announce the launch of three new multi-purpose subwoofers. These are U12 and U12i (a slimline wall-mounted version) and the U15 universal subwoofer. 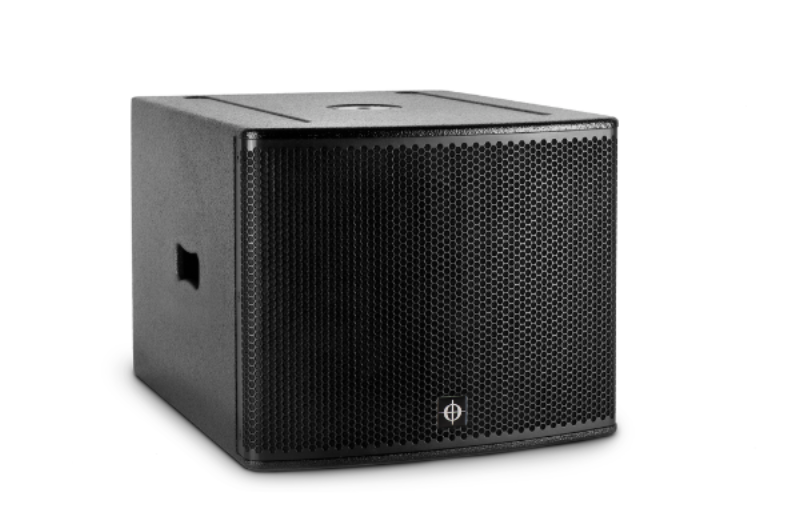 The new models have been developed to further enhance CODA’s range of subwoofers and offer compact, efficient and cost-effective solutions for almost any application. Each model is designed with new, long excursion, ultra-low distortion 4 W woofers, incorporating state-of-the-art carbon fibre cones. This achieves maximum power and cost efficiency, used in combination with systems using LINUS5C DSP ampliers. U12 and its counterpart U12i are ultra-compact single 12-inch subs with an impressively high power handling of 800W. The U15 is a 15-inch compact subwoofer with a power handling of 1000W and an impressive SPL of 133dB. All three models feature low port compression, ultra-low distortion woofers and have an optimised enclosure design, giving a tight, accurate bass response. The range is ideally suited to small-scale or mobile applications that require compact solutions, without compromising power. The three new models complement the existing U4-SUB, a high output box with a double 18-inch, ultra-low distortion woofer which offers extremely high power handling (2500W). The U4 is designed to work exclusively with CODA Audio LINUS amplifiers, as an integrated solution for DSP control, network remote-control and diagnostic. As a result, it is perfectly suited as a sub extension for HOPS Series and TiRAY, extending system performance to 30Hz and making it ideal for larger applications. CODA will be exhibiting the U-Series at ProLight and Sound from the 10-13th April, Hall 3.1 Stand F24.